I promised to write about gold making in Silithus in the previous post that focused on making gold in Ahn'Qiraj. There's many ways to make gold in Silithus while waiting for the trash to reset for example. One of these requires a profession, but 2 of them are pure gold farming! There's more gold waiting than most people think! Grinding.. and oh, more grinding! 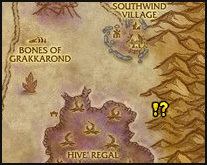 There's lots of stuff to do in Silithus, but most gold can be obtained by farming monsters. All of the mobs in the zone have little hp, so a high level can one shot them easily, making the farming a lot faster. Only downside is that you have to again wait for respawns. Thankfully there's more than one place to grind. 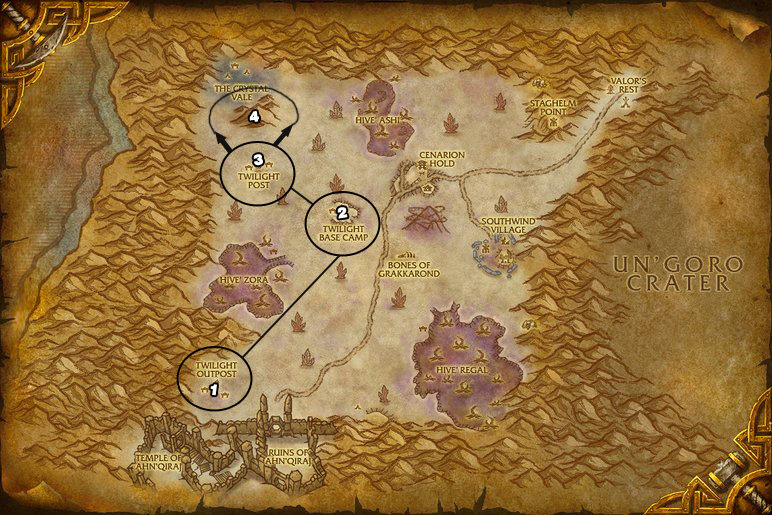 There's one more Twilight Camp near Staghelm Point, but by the time you've cleared the third camp, the mobs in the first camp has respawned. All of the Twilight camps have 2 Treasure Chest spawn points, so be sure to check the tents. If you have mining, you can sometimes make more gold just by circling around the borders of the map, mining Thorium Ore. Thorium is extremely valuable on most realms. If you have jewelcrafting, you can even prospect it for the most valuable vanilla gems. These gems can be turned into accessories that disenchant into Illusion Dusts and Eternal Essences sometimes. What to do with the Encrypted Twilight Texts? There's 2 profitable things you can do with the Encrypted Twilight Texts. Either sell them in the auction house for 5 gold each for example, or gamble and make even more gold by giving them to a quest NPC. Hermit Ortell is located inside the cave. The NPC, Hermit Ortell asks you to bring him 10 x Encrypted Twilight Text. The quest is repeatable and awards 40 silver.. D: But that's not why we're turning these in. After 120 minutes, you will receive a mail from the hermit. This mail contains Decoded True Believer Clippings! All of these are BOE, and I haven't seen anyone else selling them for months. That means no competition and I can decide their price. While the items that can be created with them are worthless statwise, the recipes are needed by collectors. I usually sell them for 2000 gold each. This has actually been a great tip for me as I managed to have the entire zone to myself for hours yesterday. I farmed up 24 stacks of Thorium and managed to get 45 texts which I sold on the AH for 5g a piece. I also managed to get 4 rarespawns in the area as well which needed 3 Mog Greens and a rarer pattern (essence of death to water) which sold quickly for 2500g on my server.